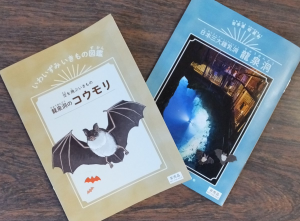 Pamphlet presents “bat of Ryusen-do Cave” one for one to customer of “koumoriuotchingu” participation in particular in February! 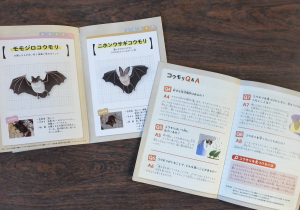 It is small booklet of one hand size, but we read introduction of bat which is in Ryusen-do Cave, bat Q&A, and there is meeting. We made heartily so that it was in one … which bat and Ryusen-do Cave came to like more if we read this. Participation method: Please accept in the Ryusen-do Cave sightseeing ticket section. Prior reservation is not necessary. On the day participation is welcome! Contents: We show around place of bat that the staff is hibernating in particular.